One of the newest Mexican joints in town, La Bodega can be a good bet provided you go in with zilch expectations. 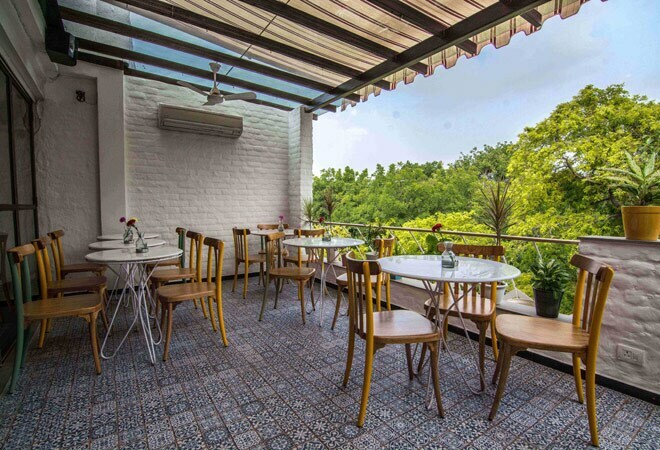 Finding good Mexican food in Delhi is as tricky as finding a Delhi wedding that isn't over the top- few and far in between. Therefore the announcement of a Mexican place having opened up in the city is not just exciting but skeptical. You don't know what to expect and that is the double-edged sword here. I walked into La Bodega, set in the bustling Khan Market, with zilch expectations. I do that mostly to guard myself from unwanted disappointments and embrace any pleasant surprise that might come my way. It's a strategy that has worked almost always and it was my best armor after hearing not-so-exciting things about the restaurant beforehand. First things first, the restaurant has some of the most warm and pleasant interiors I've seen in a long time. The place is certain to bring a smile to your face! Nothing too ostentatious here; La Bodega is all about subtle romance- subdued lighting, cozy interiors and even candle lights to boot. Full marks on the interiors here! My meal began with Tinga de Pollo, a tostada which was so average, I didn't know where to look. Things turned good, however, with Camaron Salteado, another tostada but this time with shrimp. What followed next were four back-to-back tacos, some good and some not so good. Pollo (chicken) and Dorados de Barbacao (Lamb) are the ones you should go for; Pescado (Fish) could have been better; Al Pastor (Pork) is disappointing like how! I also had a huge problem with the guacamole here. It is one of my most favorite things to eat in the whole world and however decent it might be, the guacamole left me a tad bit disappointed. Another restaurant I recently reviewed, no names mentioned, has a much better one there. Main course was half-roasted chicken and red snapper fish. Quite decent to be honest- the chicken especially left me impressed. 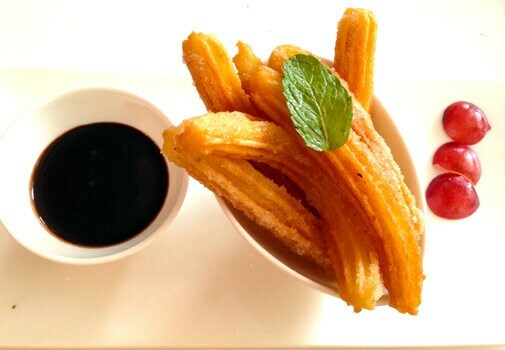 Dessert followed next- I'd say leave everything aside and go for the Churros con Chocolate here. It is a classic item that hasn't been messed up here. I also had classic margarita and Mexican basil smash for drinks. The basil one is an interesting drink that certainly deserves a serving! The best part about the meal, however, were the three palette cleansing 'shots' served- lemon chia, tamarind water and guava mint. Fabulous! All three of them! The problem with La Bodega is that it promises a lot and performs underwhelming. Certainly not a bad place, it is ok for a visit. I just wish the smashing interiors were matched by an equally smashing serving. I came out with a slight grin, not a full-blown happy smile!